The Treasure Island Kite Festival returned to the Central Gulf Coast Shores the weekend of January 18th and 19th. The skies were a clear blue color, which created a fantastic backdrop for the multicolored kites flying above the sands of Treasure Island Beach. 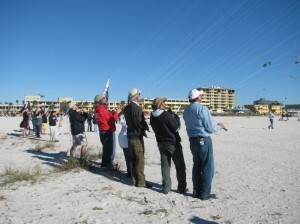 The temperatures were cool for Florida, with a brisk wind, but as far as kite flying weather, it was fantastic. The crowd that turned out was large, lining the sidewalks and filling the area restaurants. The variations of kites in the skies over Treasure Island Beach were amazing. 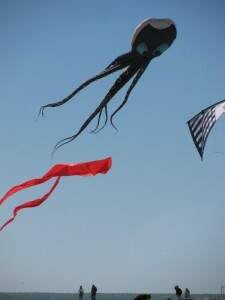 The king of the show was a giant octopus kite, larger than the others many times over. Other interesting kite designs were a giant crab, an Asian-style fish, a giant cat, a blow fish, an alligator, and a fish that looked like Nemo from Finding Nemo. 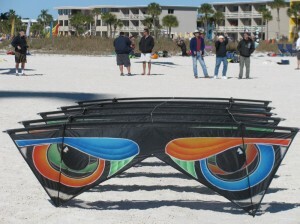 Other favorites where twirling tubes, spinning disks, and a host of trick kites. Something entertaining was flying against the blue skies in every direction. 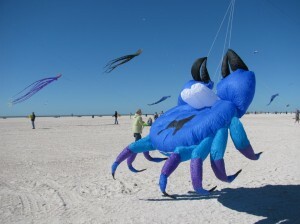 Throughout the Treasure Island Kite Festival weekend, a number of competitions were held. While we walked the beach on Saturday, we watched kite masters fly their kites to match the rhythm of music. At another location, a team was practicing synchronized kite flying, with seven people following the directions of a single director. Their precision maneuvers were visible from across the beach, standing out from the other, more stationary kites. If you missed the Treasure Island Kite Festival this time around, you can be sure that it will be back. With happy spectators –and happy local merchants –the kite festival certainly looked like a success. 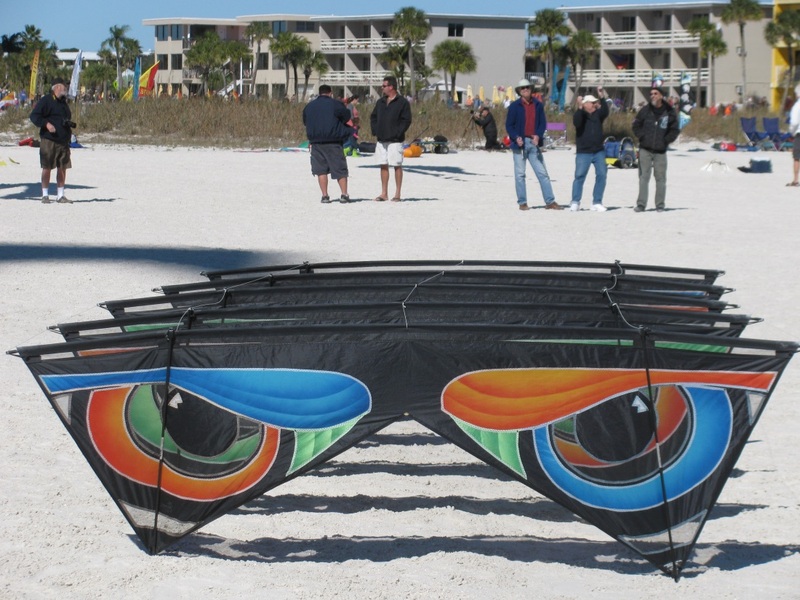 The broad stretches of sand at Treasure Island are prefect for a large show like this one, as well as providing perfect wind conditions for kite flying. Look for the festival again next year. 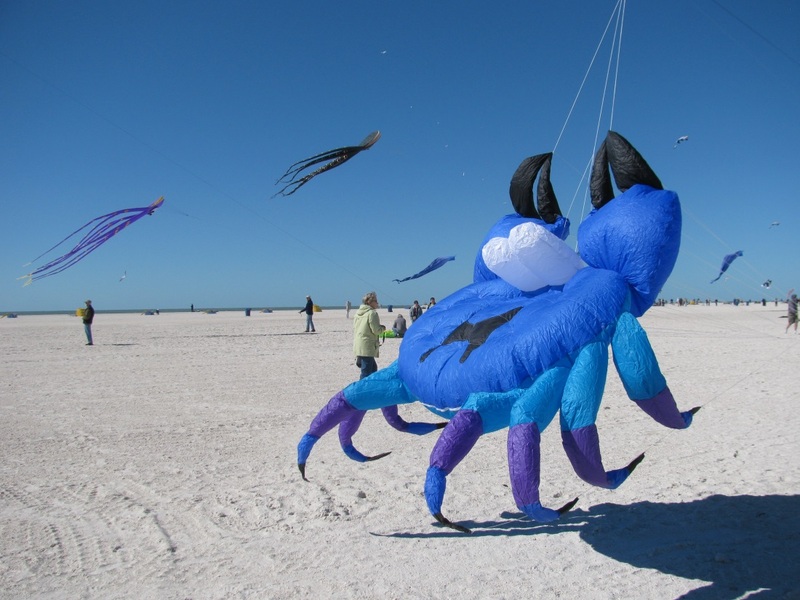 After enjoying the 2014 Treasure Island Kite Festival, we will be sure to make a return visit in 2015. 2 Comments on "Treasure Island Kite Festival 2014"
It probably depends on how high you fly.